Arizona’s desert scenery in my opinion is the only state to match Utah’s unique landscapes. Some of the first trips I went on in the beginning of my devoted exploring days 6 years ago were right here. I hadn’t taken a backpacking trip since scouts when I went 5 years ago to Havasupai. This was before it became a top travel destination a couple of years. Backpacking 35+ miles truly challenged me and I was sore every day but I enjoyed every painful step and was inspired to turn these kind of trips from a “once in a while Vacation” to a way of life. Here are some of my favorite trips i’ve been on in the amazing but unforgiving state, Arizona. For some reason I'm craving Cotton Candy Now? 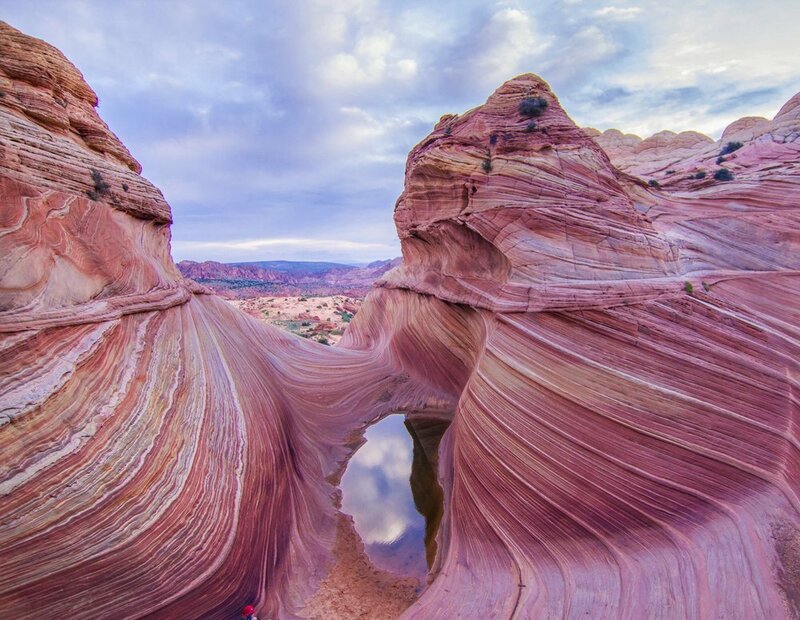 Buckskin Gulch Wire Pass is a fairly easy hike with a few spots you will need to be able to pull yourself up, if you can manage you will see some beautifully carved walls, petroglyphs and get a sneak peak at the U.S’s longest & Deepest slot canyon. That’s right, Wire Pass is only a 6-7 mile shortcut into the 21 mile long Paria Canyon hike. It can be done in a very long day but most break it up into 2 days. If you are looking for a day hike though, Wire Pass is your best bet! One of the most popular places that is probably the reason you first heard about this area is the infamous Wave. 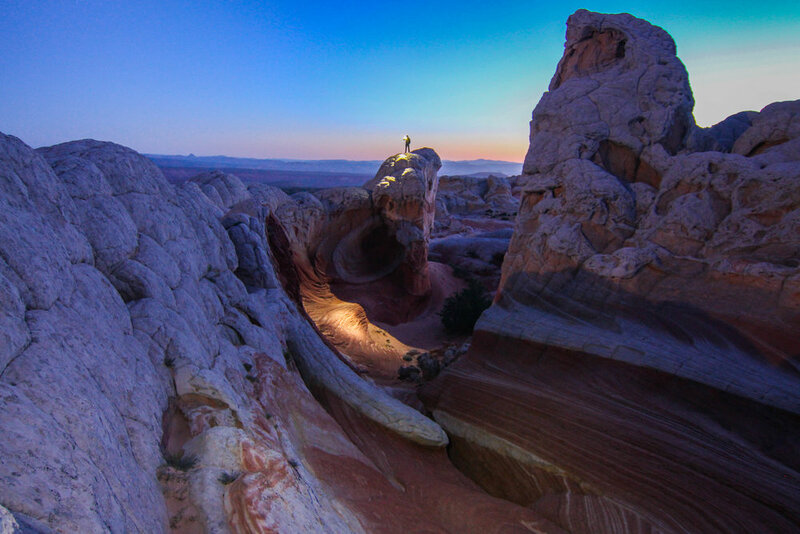 As you can see below it's a breathtaking place and should probably be on everyone's bucket list but most of you also know that there is a lottery of only 20 people a day drawn out by the BLM. 10 people who are chosen before the trip in advance and the famous morning lottery of 10 lucky people, but what happens if you aren't chosen? Don't worry, all is not lost. There is plenty in this area to make it just as unforgettable. Check out some fantastic places right next to the Wave below. 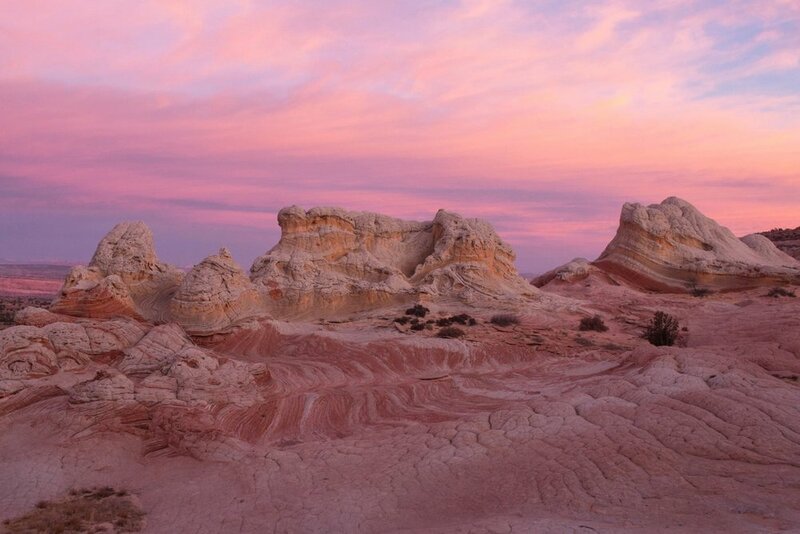 Let the Vermillion Cliffs set you Free! We spent our Christmas in Sedona 2 years ago, I’m just realizing that we love to go to Arizona for Christmas break?! Sedona lived up to everything that you’ve heard. It is truly an inspiring location and has a cozy little town similar to Moab or Springdale in Utah if you’ve been. Lots of great places to eat, unique shops, art and wine. The whole bag of marbles you could say. We spent Christmas even in a hotel because it still gets pretty cold in December there, we did camp a couple nights and woke up to a frozen over tent one of the mornings. This may of been the coldest Michelle has ever gotten on a trip lol Being on the other side of Flagstaff with a high enough elevation where people are skiing, it makes sense. Last year when we were getting hit with a mega snowstorm as we often are that week of Christmas, my wife, Michelle and I decided we’d finally go check out Canyon De “chelly” which is actually pronounced “shay” but try tell her that, she said it was named after her :) We barely stayed ahead of the storm and made it safe and enjoyed the one day we had before the winds and snow blew in.